There are arguments all along the spectrum when it comes to how parents are depicted in YA. Some believe all parents in YA are bad or too conveniently absent. Others believe there’s been a resurgence in parents in YA, maybe to the point where they’re almost too involved or too unbelievably present in the story. You could cherry pick your way to any side of this divide, depending which books you pick up and how you choose to interpret the presence/non-presence of parents. But in most cases, that’s not the most interesting part of the parents in YA discussion. What is far more interesting is how the teen main character or characters in the story are impacted by their parents. How much do the characters know about what it is his/her/their parents are doing? In honor of National Novel Writing Month, the next couple of “3 On A YA Theme” posts will explore something relating to writing in YA fiction. Today, a look at 3 YA books where the parent of the main character is an author — for better or for worse. 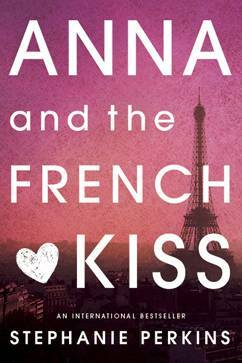 Stephanie Perkins’s Anna and the French Kiss kicked off her very loose trilogy featuring memorable romances and equally memorable city settings. Anna Oliphant is a high school student in Atlanta and she’s fairly happy with how things are going. But things are changed drastically when her parents decide to send her to a fancy-pants boarding school in Paris for her senior year. She’s not happy about the decision. At least, she’s not until she meets the right people, explores her new city, and falls in love with a boy named Etienne St. Clair. Anna’s father is a writer in Perkins’s novel, and he’s a not-too-subtle parody of Nicolas Sparks. Where he can get on Anna’s nerves, he serves a bit more of a humorous purpose for readers. Andrew Smith has a knack for writing some really weird YA — and that’s not a diss on what he’s writing but instead, a huge compliment. In 100 Sideways Miles, we are inside the mind of Finn, who is an epileptic, thanks to an accident that killed his mother. The accident involved a falling horse. The heart of the story is Finn’s desire to figure out what he’s doing with his life; he’s never left the state of California, and he’s a little afraid of too big of an adventure because of his condition and because, frankly, he’s kind of scared. Part of that scared also comes thanks to his father, even though Finn may not readily admit that. His dad is a well-known author who penned a bestseller about aliens and the future of humanity, starring a main character named . . . Finn. While the book isn’t about his son, so many people know Finn’s father’s work that it’s impossible for Finn the real person to escape some of the ideas in the book. 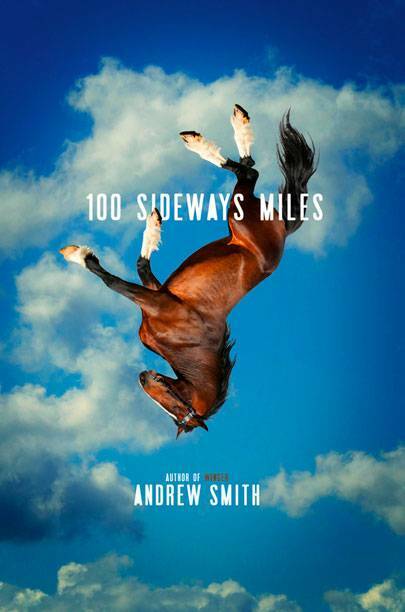 100 Sideways Miles features a budding romance between Finn and the new girl in town, a road trip to Oklahoma, and an awesome and authentic male friendship. Perhaps Finn can escape the fictional character who happens to share his name and some of his more unique characteristics. When 16-year-old Devan’s dad dies, she’s sent from her home in Missouri to live with the mother she’s never met in Los Angeles. Devan knows nothing about her mother except that she’s Reece Malcolm, an award-winning, best-selling, and reclusive author. As Devan adjusts to life in a new city, she dives head-first into getting involved with her school’s show choir, making new friends and potential romantic connections. But she’s not satisfied — Devan wants to know who her mother really is and she wants to build a solid relationship with her, even though it seems impossible. She begins to keep a list of the things she knows about her mother, some of it discovered by a little snooping. 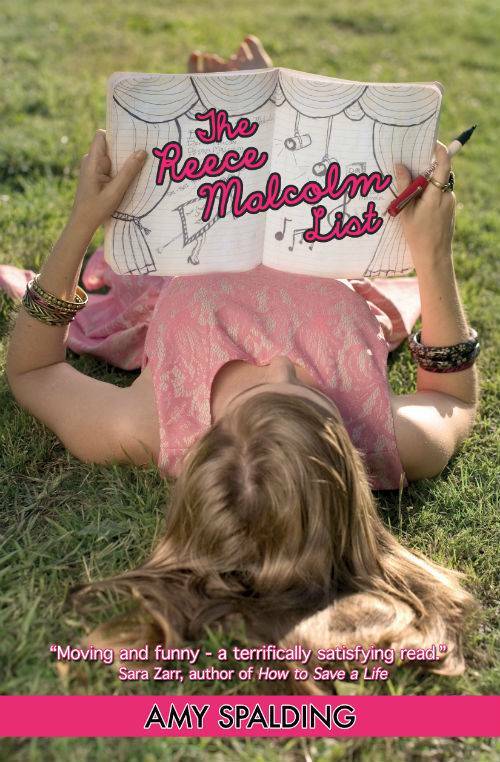 Amy Spalding’s The Reece Malcolm List is a story about family connections, and it features musical theater, the awkwardness of making new relationships, and humorous moments. Despite the fact Reece Malcolm is “well-known” because her name is attached to books people know, Devan hopes she can get to really know her mother well.